SAN ANTONIO DE BENAGEBER C.F. C.F.F. MARITIM "C" - PATERNA C.F. C.D.F.B. LA ELIANA "A" - VILLARREAL C.F. "C"
VILAMARXANT C.F. "A" - ALQUERIES C.F. LA UNION FEMENINA MANISES F.C. "B - LEVANTE U.D. "E"
C.F.F. JUVENTUD PATERNENSE "B" - DISCOBOLO-LA TORRE A.C. "B"
C.F. TRICOLOR - C.F.F. 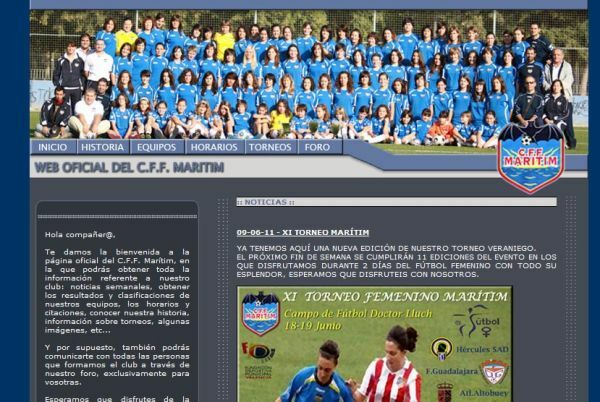 MARITIM "D"
LA UNION FEMENINA MANISES F.C. VILLARREAL C.F. "A" - F.B.M. MONCADA C.F. VALENCIA FEMINAS C.F. "C" - LEVANTE U.D. "B"